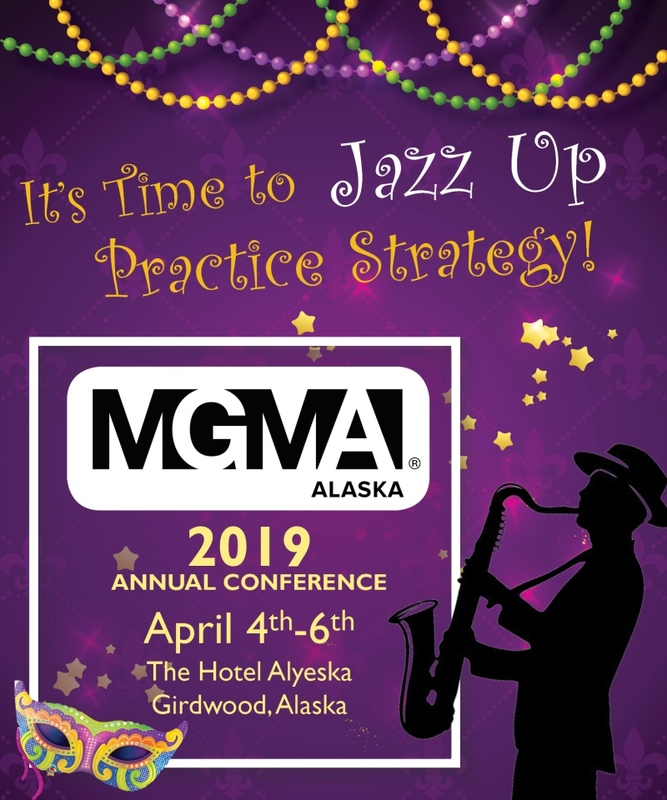 The Alaska Medical Group Management Association (AKMGMA) is a professional organization comprised of group practice administrators, managers, health care executives, consultants and vendors located throughout Alaska. AKMGMA provides resources essential to enhance the skills required of medical practice management professionals by offering educational programs, federal and state updates affecting the medical practice, as well as networking opportunities. AKMGMA is a pathway to meet with colleagues to share ideas, experiences, and problems and solutions. Development and promotion of educational programs for members and support personnel by conducting periodic educational meetings, providing diversified speakers in all areas which influence and affect medical group management. Provide a network of managers who are available to share ideas and information to help solve common problems. Increase membership in a manner that will strengthen the organization in the further achievement of its organizational objectives. Cooperate with other organizations having similar goals and objectives.